The world of nanoscience and nanotechnology are today moving fast and witnessing drastic challenges. Environmental engineering science in a similar manner is moving towards a newer scientific age. Material science needs to be reenvisioned as human civilization treads towards a newer destiny. 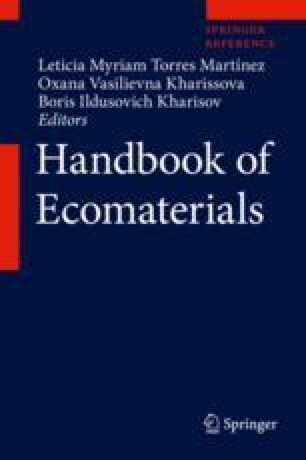 Ecomaterial and its applications are the cornerstones of scientific research pursuit today. Environmental catastrophes, loss of biodiversity, and the vision towards environmental sustainability are all leading a long way in the true emancipation of science today. Nanomaterials for environmental protection are the visionary path of scientific research pursuit today. This treatise discusses with deep and cogent insight the immense potential, the success, and the future perspectives in the application of nanomaterials and ecomaterials in environmental protection and application areas. Scientific imagination and scientific introspection are the torchbearers of a greater vision of the application scenario of nanomaterials. Nanotechnology is an emerging field that covers a wide range of technologies and is presently under development on a nanoscale. Nanomaterials and ecomaterials are witnessing scientific regeneration and scientific reenvisioning. Biodegradability of materials which are harmful to environment and recalcitrant needs to be envisioned and deeply envisaged. The authors pointedly focus on the applications of nanomaterials, ecomaterials, and other new generation materials and the tremendous scientific potential behind it. The wide vision and the success of human scientific endeavor are the pallbearers towards a greater realization of environmental sustainability today. This treatise discusses with deep vision the success of application of ecomaterials and its future perspectives with a greater stress on environmental sustainability. It veritably opens up a new chapter in the field of material science. Human scientific endeavor and deep scientific sagacity are the hallmarks of the research pursuit in nanotechnology and nanomaterials today. This chapter will surely open new futuristic thoughts, futuristic vision, and the vast profundity in the field of material science and ecomaterials.